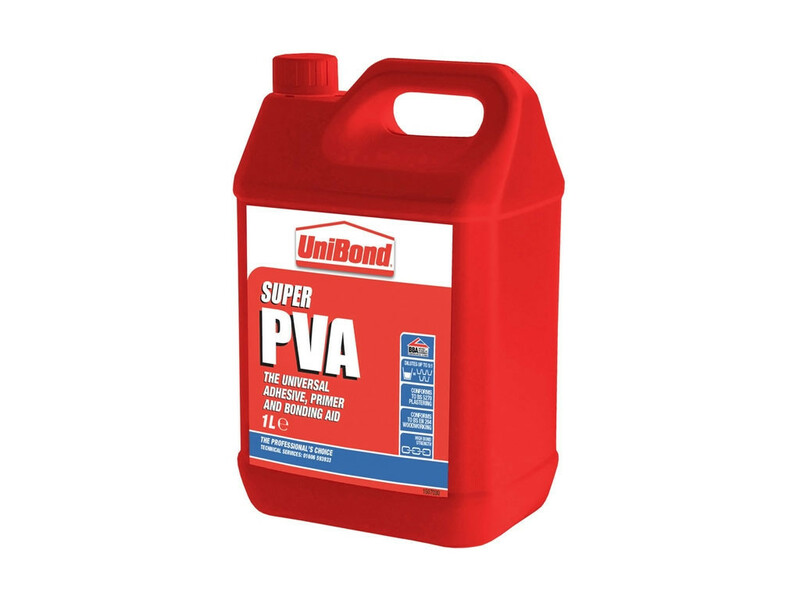 Unibond Super PVA is a dual purpose adhesive and a sealer. Unibond PVA is suitable for many bonding jobs in commercial and domestic projects. Unibond Super PVA can provide excellent bond on materials such as carpet, wood, plaster, glass, fabrics, ceramics tiles, cardboard and paper provided that one of the surfaces to be bonded is porous. All surfaces must be clean, dry and free of any impurities prior to application. For Priming apply a mixture of 1 part PVA with 5 parts of water. For plastering, filling and patching dilute 1 part water and 1 part PVA and use this to mix up the plaster instead of water. Dust-proofing concrete floors prime the surface and allow to dry twice. Apply Unibond PVA with a brush, roller or a spreader. Unibond PVA will set in 60 minutes for handling and will fully cure after 24 hours. 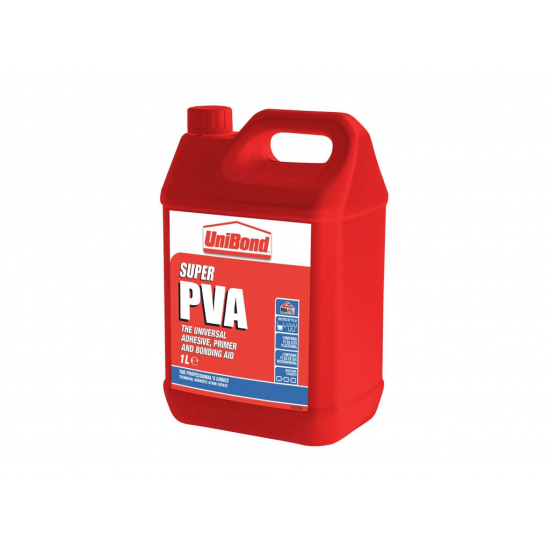 PVA is water based, non toxic and non flammable, please ensure adequate ventilation during application.